Since the end of 2015, Bananafish’s mini zines have travelled to many cities in China, and also to London and Porto. This time, with the help of Northing, Mini zine is heading north. Would you join us to make the palm-sized zine that will travel all around the world? A Mini Zine is a palm-sized, flash fiction, handmade artist books. It’s got many lovely names and monikers like little monster zines, micro books, Mame-hon (Japanese: bean-books), etc. Inspired during a trip to Japan, Bananafish initiated an art project adapting the concept of this book format, in order to offer new experience of reading on paper and stimulate communication between the bookmakers and the readers. The series of Mini Zines Bananafish produced are characterized of it’s super concentrated but rich contents, delicate quality of paper craft, and the bearable lightness both for the hands and the mind. A Foldy zine is a bit more complicated, and more of a craft. It’s more like opening a real book. But when it’s unfolded, it becomes a mini poster. The standard size of a Mini Zine is 43 mm x 56 mm. It’s either accordion-folded (concertina design) or folded as a Foldy (a popular method to make an 8-sided zine from one sheet with one cut). It’s a convenient volume for a little piece of work, which is big enough to convey an interesting anecdote, an artistic idea, or a piece of philosophical thought, but small enough to encourage more contributions and prevent procrastination. The subject matters variated from comics, visual art, poetries, design and architectural ideas and illustrations, folk art and culture in a nutshell, etc. From the first open call in November 2015 up to now, Bananafish has received more than 1500 submitted works, from which 550 selected and published. All Mini Zines were printed with single color Risograph technology in the Riso studio named Pause Bread owned by Bananafish. Risograph or Riso-printer is an environment-friendly and cost effective printer, which uses soy-based inks to produce unique outcomes.The underlying technology is very similar to that of screen printing. Besides the special way of mixing colors due to the transparency of the soy-based ink, the texture of the result from a Riso-printer also ranges from refined to noisy, and with the slightly inaccuracy in the registration, each page printed by Riso-machine would be highly expressive and unique. This quality matches the aesthetics of hand craft and naiveness behind Mini Zine. How Risograph turns your black and white (grayscale) illustrations into single color prints. 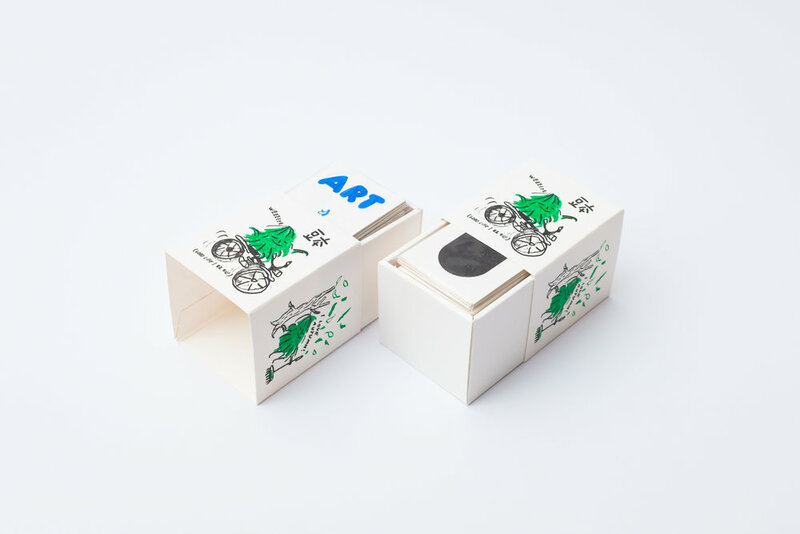 Mini Zine is also a child-friendly form of creativity. 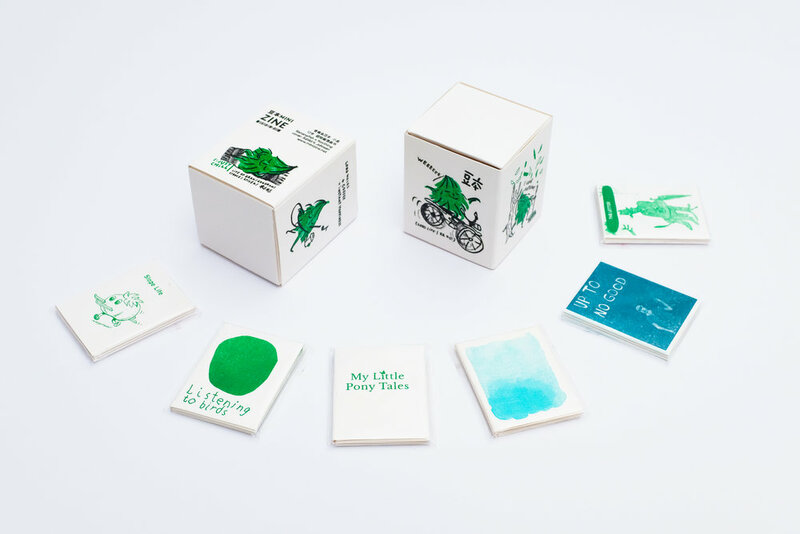 Making Mini Zine is equal to playing a game - it’s an activity of freedom and vitality. 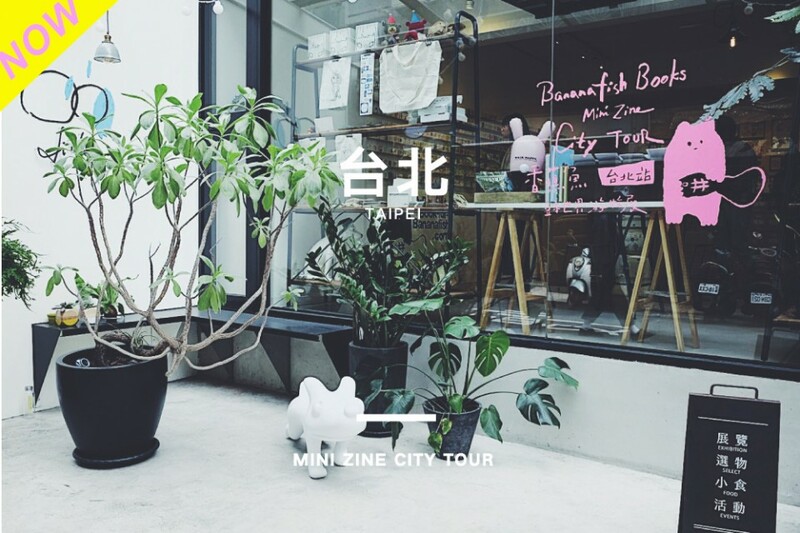 Bananafish has also curated a special edition of Mini Zine by kids while touring with the project in Tianjin. 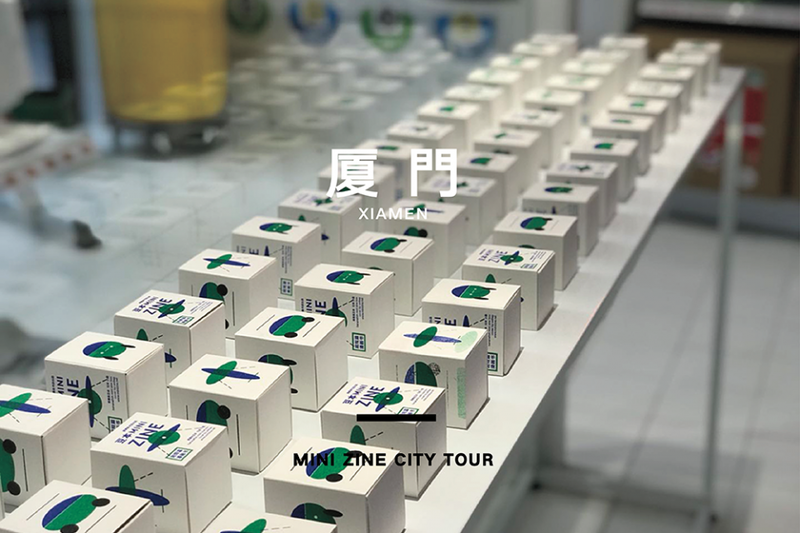 Besides being exhibited in Tianjin as a single unit, selected Mini Zines by kids will also join the rest Mini Zine to tour around the world in the future. 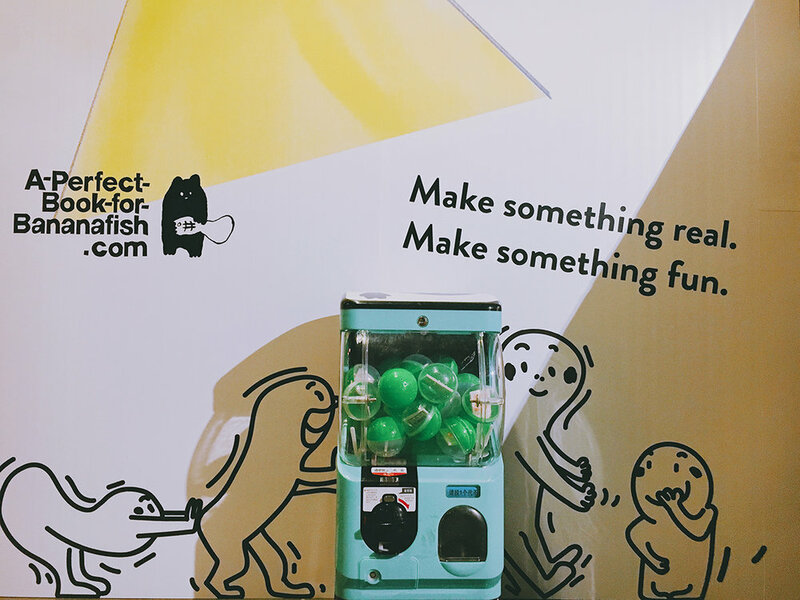 With Mini Zine, Bananafish encourages children to draw and print their imagination, their scribbled inspiration on the paper, thus to enjoy a new form of creativity based on making something physical, something real, something fun. In order to showcase Bananafish Mini Zine collection to more readers and to promote the new thinking amoung the young generation of creative people, Bananafish started to tour with the Mini Zine project from city to city since 2015. So far the exhibitions have covered 15 cities in China and abroad, including Shanghai, Beijing, Guangzhou, Hong Kong, London, and Porto. Currently Bananafish is working together with Ooga Booga Store in Los Angeles, USA and Northing in Bergen, Norway, on planning for the new issues of Mini Zines and the next stops for the City Tours.